Cupboards Kitchen and Bath: Rustic Wood Walls? Fake it! Did you see the awesome wood walls on the Sunday Inspiration Kitchen yesterday? 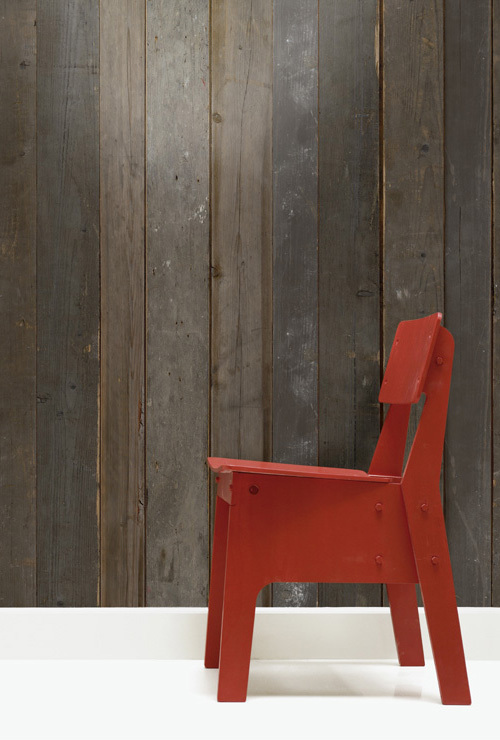 A rustic wood wall will always warm up a cool space if done correctly. 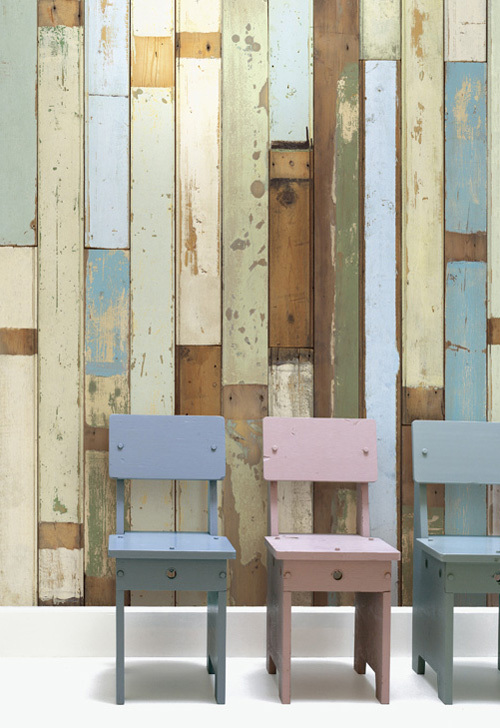 Not everyone has access to a nice stack of reclaimed boards or has the time or know-how to get the project done correctly. Rarely will you hear of me suggesting that someone fake a look... Here's one of those occasions. 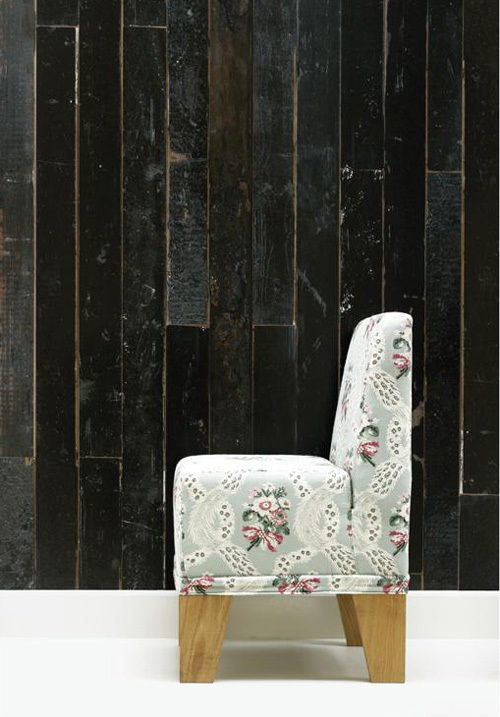 The look is accomplished with Scrapwood Wallpaper from The Wallpaper Collective and not only is one of the best looking wood-look papers I've seen, but is also eco-friendly and uses no VOC inks! 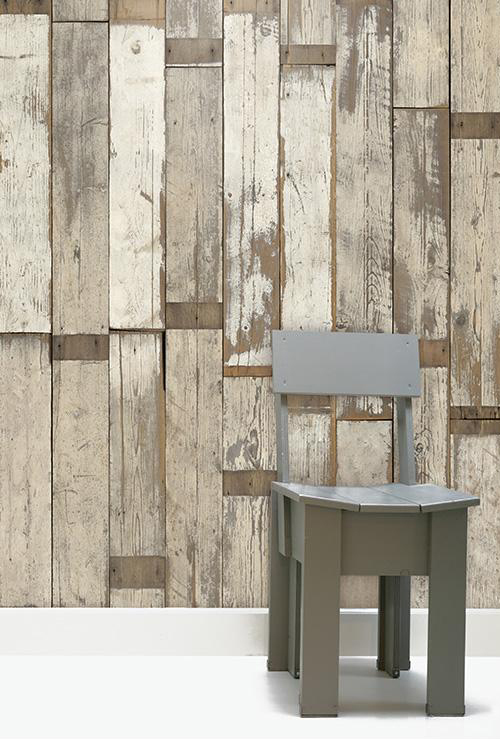 Designer Piet Hein Eek created this 10 square foot repeating pattern modeled from his appreciation of antique woods. More information can be found at The Wallpaper Collective. Can you believe it? It's wallpaper! Crazy wallpaper, I love it. Great find Nick! I think it's awesome too, Sandy!